Maintaining impeccable trees is possible only with good tree care and regular tree pruning or tree trimming on your Puyallup property. This is where Hunter's Tree Service comes in. 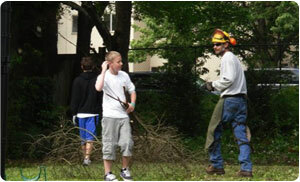 We are a leading provider in tree trimming services in the Puyallup area. If you dream of elegant trees swaying on your residential or commercial property, our tree trimming services are just what you need! Tree pruning lets Puyallup trees be free of pests or infections before they become a problem, and lets trees get the required energy to flourish and last a lifetime. It is, however, important to ensure that the pruning be done by knowledgeable and experienced professionals like us. 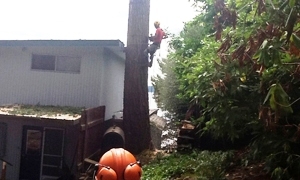 We have extensive experience in handling tree trimming jobs in Puyallup. Our pruning experts will never make any uneducated cut on a tree that jeopardizes its health. 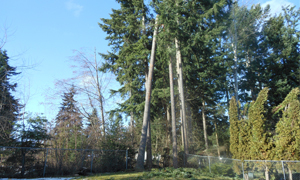 Why Choose Us When You Need Tree Pruning in Puyallup? There is an ongoing need for tree pruning in Puyallup properties. After all, sustained aesthetic appeal and the health and growth of tree cannot come from a one-off tree trimming exercise. It makes sense to take the time to select a good contractor to provide you with tree pruning services on a regular basis. We are one of the best options for Puyallup residents. With us taking care of your tree pruning needs in Puyallup, you are assured of well-cared-for trees on your property and a stress-free experience during any tree trimming jobs. Dial 253-777-1938 to hire the experts at Hunter's Tree Service for tree trimming services in Puyallup.